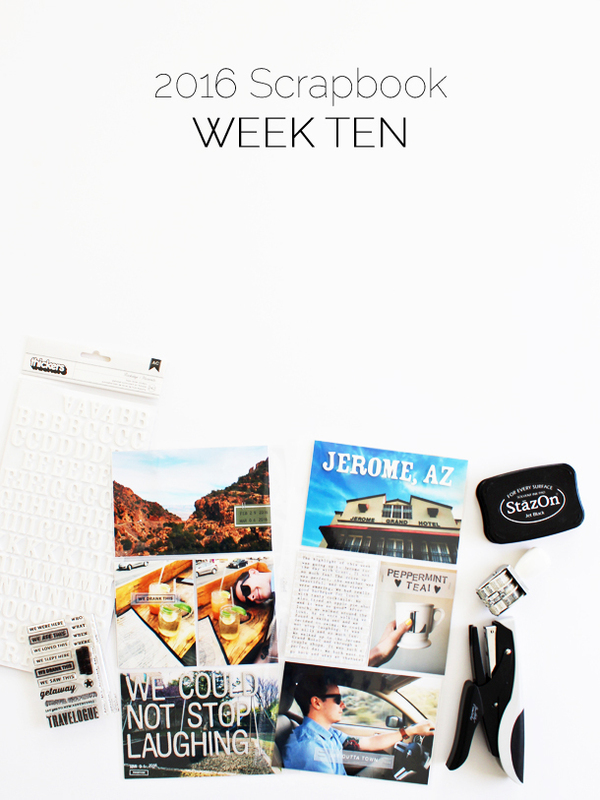 Some of my weekly layouts focus mostly on one day, like my week 10 layout. I didn't have very many photos for the week, except for Sunday. So I made that my focus. And it was a really great day, so it deserved the majority of the spread. 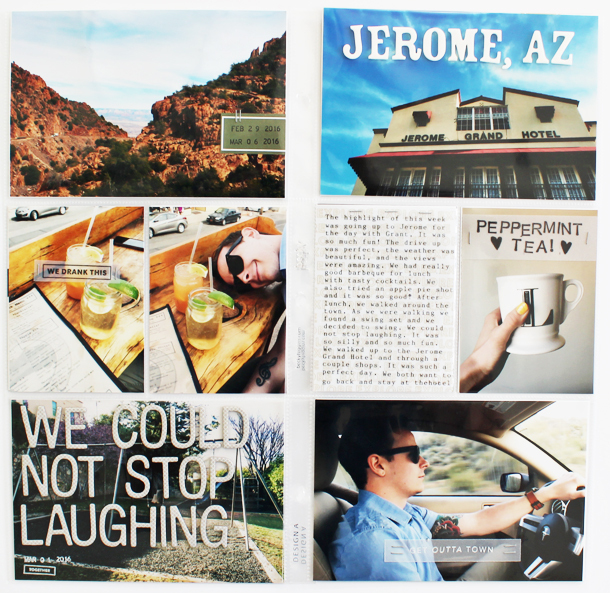 Grant and I went to Jerome for the day. We had lunch and walked around the town. It was so much fun! I like photo heavy layouts, so I wanted most of the layout to be in photos. I used my favorite techniques of stamping and alpha stickers for all of the embellishments. 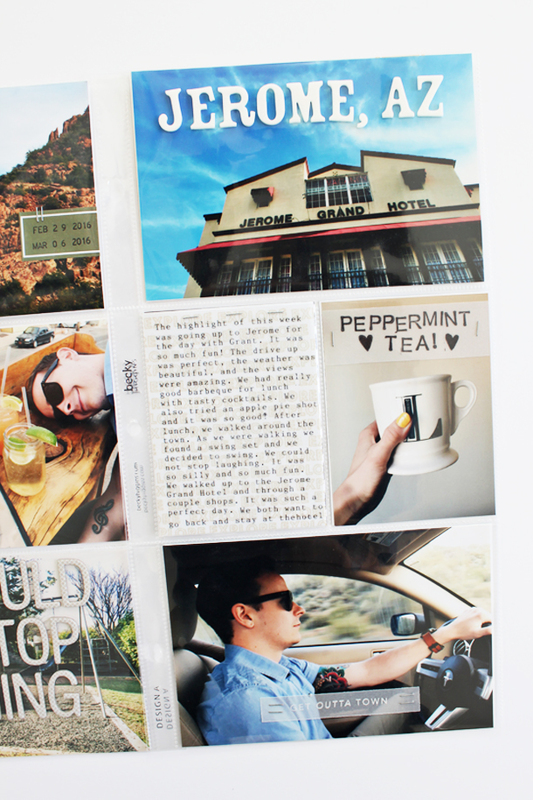 I love that scrapbooking could be this simple. You don't need tons of stickers and embellishments to make a great layout. At lunch, they served our drinks in mason jars, so naturally I had to take photos. Grant had a bit of an #instagramhusband moment while he, very patiently, waited for me to get the perfect shot. Luckily, he let me document this goofy moment as well. The drink stamp is from one of the past Kelly Purkey stamp sets and it's one of my favorites for documenting food adventures. The bottom photo is of a swing set, but it didn't turn out very well. I used large alpha letters to tell our story over the photo. 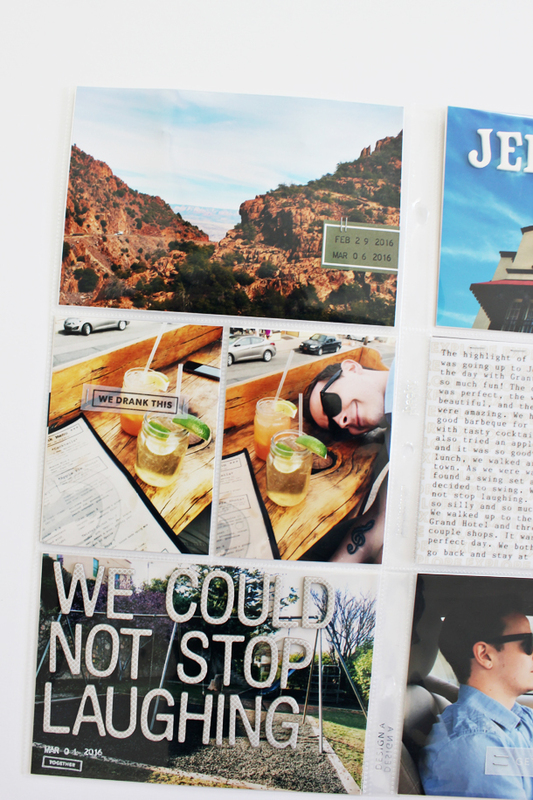 It might not make a lot of sense to other people, but scrapbooking is for you. Document your story in a way that helps you remember the details. As always, I added the date to the bottom. White ink is great for stamping on darker photos! Like every week, I used my mom's old type writer to add the journaling for the week. I think it's so much easier to type with the type writer rather than figure out how to get the printer to print where I want it to print. I typed on vellum and behind the vellum, I used an "explore" stamp to stamp a repeating pattern. It's not always easy to see through the vellum, but it still added texture to the page.